When I tell people that I add kale to my juice, they look at me like I’m crazy! But take a moment a think about it… Kale a one of the healthiest vegetables to can spoil you body with. It contains, both protein, fibers, vitamins and minerals and studies have shown that kale contains substances that can help smother cancer cells! If you want the juice to more clear in color and thin in consistency, you can just pour the juice into the towel and let it drip off – it takes from 2-6 hour and you will only get half the amount of juice + you will leave many of the healthy ingredients in the waste product. I therefore recommend that squeeze it as much as possible so that almost nothing is left for the trash can! 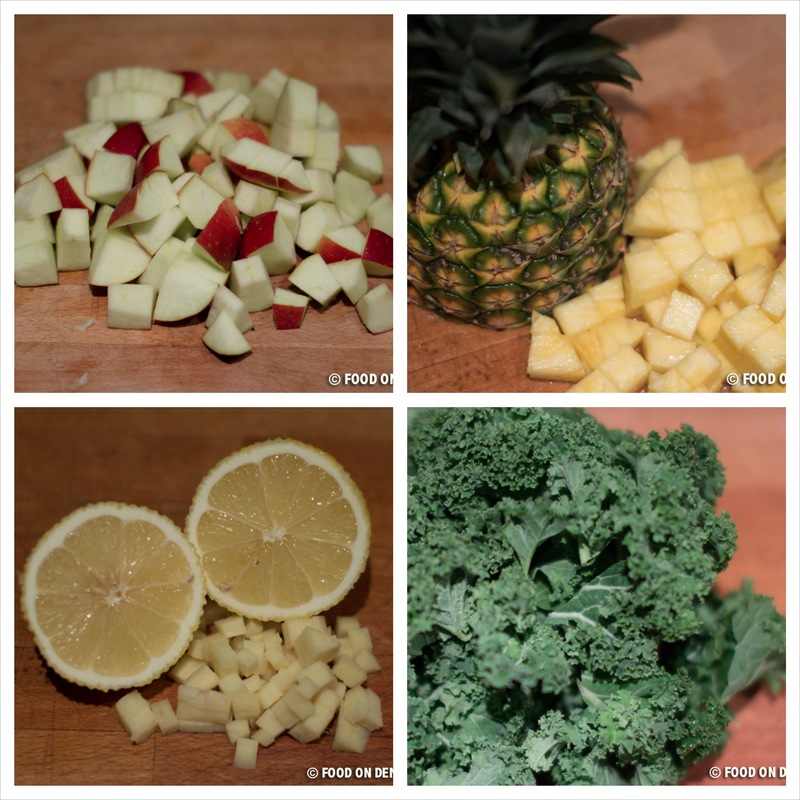 Place chopped apples, pineapple and ginger in a blender with lemon juice and water. 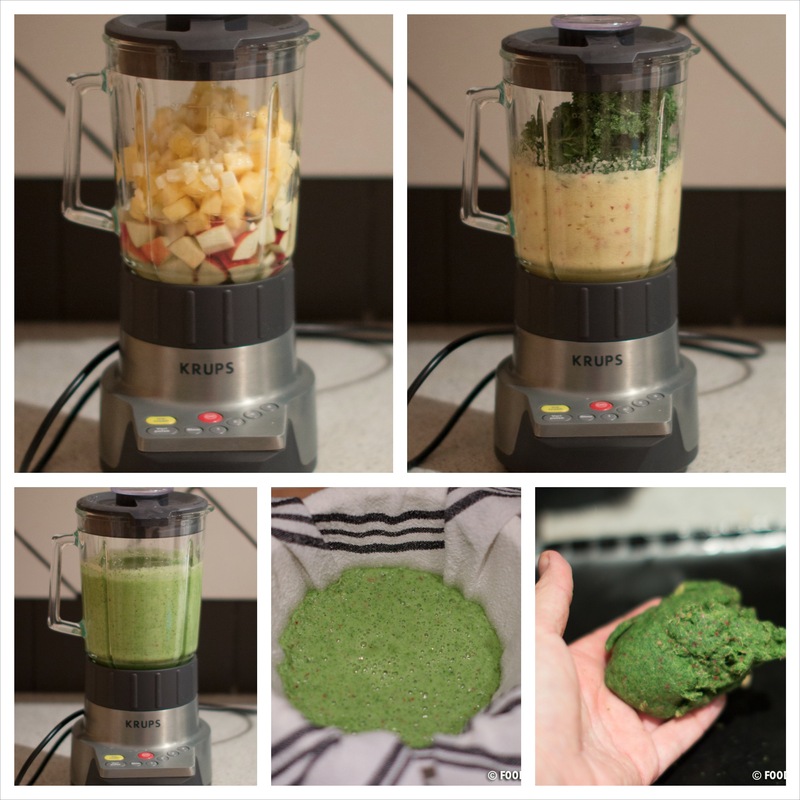 Blend for 1 minute or until the ingredients begin to form a smooth consistency. Add 1/2 of the rinsed kale (remember to rinse the kale very carefully as it often contains a lot of dirt) and blend again. Add the remaining kale and blend for a few minutes until the juice has a beautiful green color. Cover a mixing bowl with a tea towel and pour half of the juice into the towel. Twist the towel and squeeze all the juice into the bowl. Do the same with the other half of the juice. Squeeze as much as you can – the waste product should be dry. 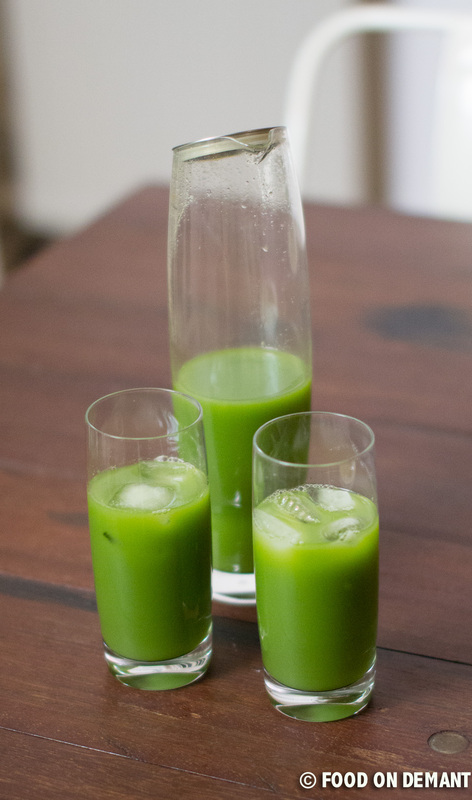 Serve the juice immediately with a few ice cubes in each glass or fridge for up to 24 hour.